Clarity of vision. It’s not just a defining feature of every world-class filmmaker and broadcaster, but an essential element of visual creativity. 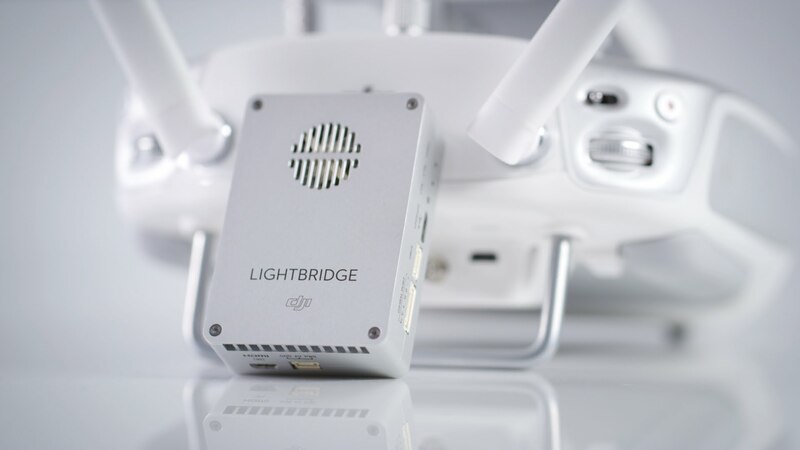 DJI Lightbridge 2 continues the revolution of wireless, real-time full HD streaming that its predecessor started, empowering aerial photographers and cinematographers to realize their vision in ways never before possible. The intelligent transmission system automatically adjusts channel and bandwidth for maximum video quality and minimum latency, down to as low as 50ms, and increases transmission range to up to 1.2 miles (2km). The Ground System is now integrated into the Remote Controller, making it incredibly easy launch into the sky and fly, and the new DJI GO app allows for precise control over your aircraft, while displaying a live HD view on your paired mobile device. The new HD-SDI output port, together with the USB and mini-HDMI ports, lets you broadcast video in professional standard formats like 1080i/50fps and 720p/59.94fps, and output to almost any type of display. Team up with a friend or partner by adding additional Slave devices to control camera and gimbal movement and take the art of aerial cinematography to incredible new heights. With DJI Lightbridge 2, you can see further and clearer to realize the vision in your imagination.